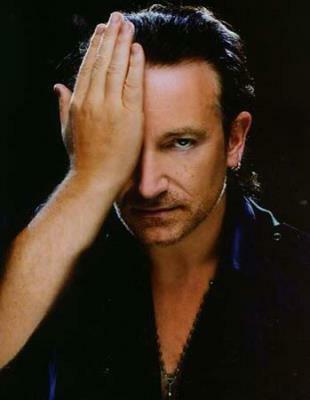 Paul David Hewson (Bono) is the front man for the successful group U2. He also is very fond of displaying his allegiances as you can see above. 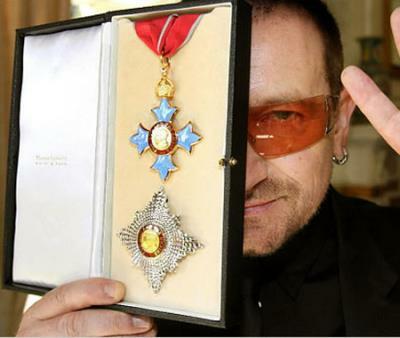 Bono writes all the lyrics for U2's songs. In the song “Love is a Temple”, the lyrics read: “You say love is a temple, love a higher law. Love is a temple, love the higher law”. Which sounds a lot like “Love is the law, love under will” and “There is no law but do what thou wilt” - quotes by master occultist Aleister Crowley. Too bad he's not around to sue. 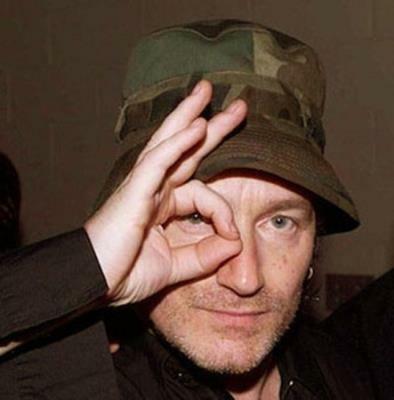 Bono recently joked about attending an Illuminati meeting. 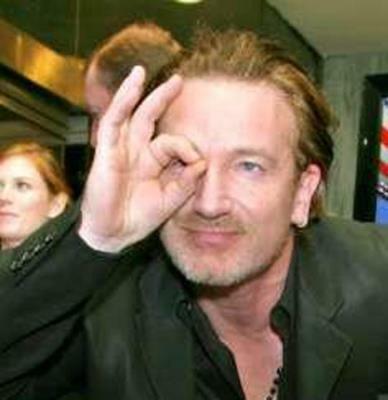 Good one Bono.